House Lifting in New Jersey: Is it Right for You? 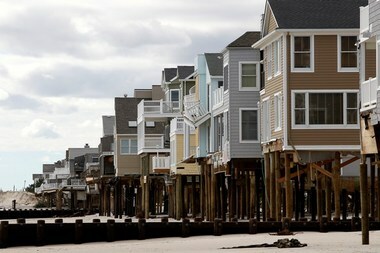 Many home owners have chosen to lift their houses since Superstorm Sandy slammed the Jersey Shore in 2012. Houses throughout the area have been rebuilt several feet above the flood level and for good reason. Superstorm Sandy wiped out thousands of home throughout the Jersey Shore, many of which still need to be rebuilt two and a half years later. The rushing water from the flooding bay and ocean ripped up hundreds of houses from their foundation and left thousands of others with extensive damages. Those who were lucky enough to have a house still left standing weren’t considered lucky for all. In most cases, the entire first floor had to be completely ripped out and redone and all electrical work and appliances had to be replaced because of water damage. No one would ever want to go through this and if it happens to you, you’ll want to make sure it never happens again. So if you’re new to the Jersey Shore or any waterfront area or you’re just not sure if you should raise your home, these questions and answers will help you decide. Do you live near water? If you live near water, elevating your home is a good idea. Hurricane season happens every year and while the Jersey coast isn’t the most likely place to hit, history has proven that it is more than possible. Shore homes especially are built on low grounds. If a bad storm is to hit New Jersey again, you could be putting yourself and your family in danger. 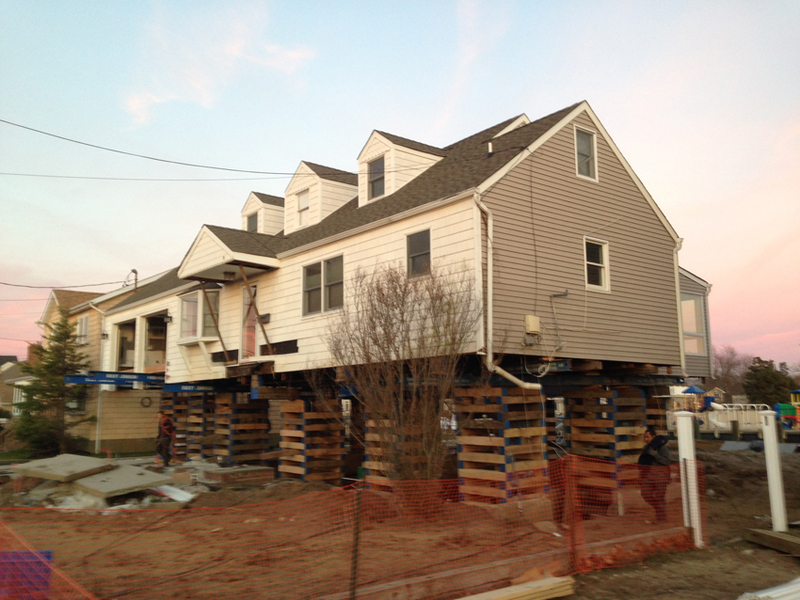 House lifting in New Jersey has become popular because of the large amounts of water front homes. Superstorm Sandy wasn’t the first and it won’t be the last big storm to hit the NJ coast. If you’re in a flood zone, lift your home. Forget about the chance of another Sandy for a moment and just think about your insurance rate. If your home is in a flood zone, you’re insurance rate is much higher. If you lift your home above the flood zone, you could save hundreds of dollars a month. It is because of storms like Sandy that your rates have been increased. If you get your home out of harm’s way by lifting it, then your insurance rates will drop. What are the regulations in your area? Some areas have gone as far to make it mandatory to get your home out of a flood zone and if you don’t, you could face a heavy fine. Flood zones have been changes since Superstorm Sandy in an effort to be prepared for future storms. By changing the flood zones and enforcing regulations, New Jersey is trying to protect its residences from any future storm. If homes are raised above the flood levels and another storm happens, there will be far less damage then there was during Superstorm Sandy. Be sure to check with your town about any flood zone regulations in your area. The big benefits to house lifting in New Jersey are keeping your home safe and reducing your insurance rates sufficiently. You’ll also be prepared for future storms and as a side perk, the views from lifted homes are much nicer. We can help you get started with home lifting in New Jersey and give you more information about the process. We have been helping families all throughout New Jersey recover from Sandy and return to their homes. Give us a call today to get started.